Nineteen Keel Wharf is a collection of 46 two bedroom apartments which are currently undergoing an extensive programme of refurbishments. Facilities will include a 24-hour reception with secure luggage storage, an on-site cafe for residents and parking. Serviced accommodation is one of the fastest growing sectors within the hospitality industry. Demand is driven by the desire for a home from home experience in a more spacious environment, similar to the successful Airbnb model. The investment potential for savvy investors in this sector is undeniable. The returns generated from a serviced apartment let on a short term basis, far outweigh those of a traditional buy-to-let purchase in the same location. Earnings average between 15%-20%, based on 60% occupancy levels and investors are expected to double their returns in comparison to a standard traditional long term let. The two key factors for a successful short term rental property are simple - great location coupled with professional management. A management company will promote the property via the appropriate marketing channels to achieve maximum occupancy and implement the highest standards of maintenance to ensure that guests enjoy their stay, leave favourable reviews and return again in the future. Nineteen Keel Wharf Liverpool is an attractive residential apartment building, which is located next to the Liverpool Echo Arena. Therefore the location is ideal for high yielding short term letting and serviced accommodation. 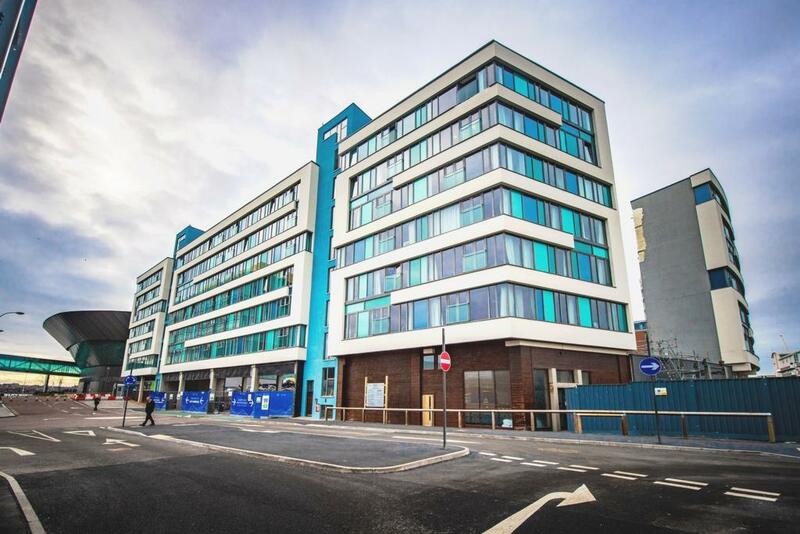 The purpose-built residential development was originally completed in 2011 and is undergoing a schedule of light renovations to bring them up to the modern standard, Nineteen Keel Wharf will be fully Managed therefore proving owners with a hassle-free Buy-to-let investment. Units have been generating around 13% NET per annum through short term letting, air B&B. Therefore the property has a proven track record. Furthermore, with its proximity to the Echo and central Liverpool and a rise in tourism, we anticipate this to be a top performing property for years to come as well. Nineteen Keel Wharf is excellently located next to the Liverpool Echo Arena, aka M&S Bank Arena. In it's first year the arena hosted 269 events. Opened in 2008 as part of the European Capital of Culture, M&S Bank Arena is Liverpool's premier entertainment venue. The arena has played host to a raft of significant events from both the world of music and entertainment and sport. Hosting high profile events such as MOBO Awards, the MTV Europe Music Awards, the GB Judo World Cup, the British Gymnastics Championships and Davis Cup Tennis. In 2018 an exciting line-up of superstars from the world of music, comedy, sport and theatre performed including Roger Waters, Kylie, Sir Paul McCartney and the Liverpool International Horse Show. Furthermore, highlights for 2019 include Justin Beiber, Strictly Come Dancing, Little Mix, the Netball World Cup and Rod Stewart. What?s more, the venue will host the 2022 World Artistic Gymnastics Championships, therefore continuing to attract thousands of visitors per year, right to the doorstep. With apartments expected to sell fast, call our investment team today on 0330 223 0331.